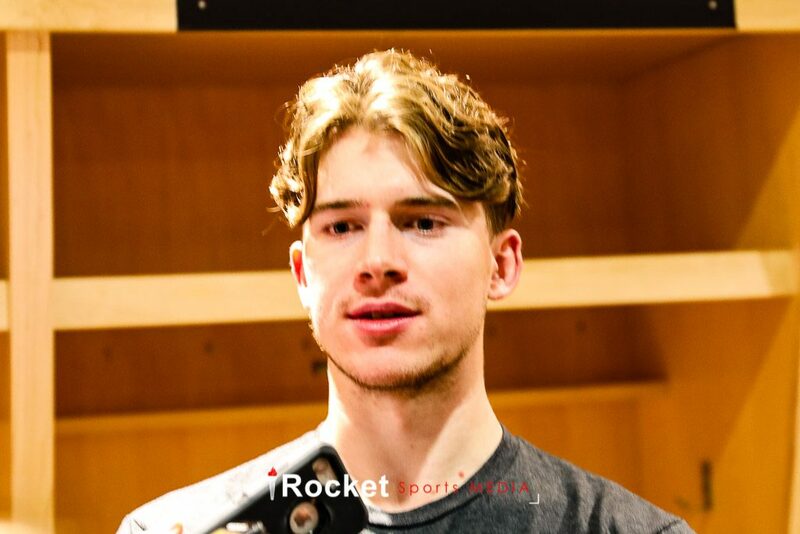 ALLENTOWN, PA. – The AHL Report team from Rocket Sports Media was on site for the Philadelphia Flyers pre-season game against the New York Islanders at the PPL Center. AHL Report interviewed Philadelphia Flyers goaltenders Carter Hart, Anthony Stolarz, forward Travis Konecny and head coach Dave Hakstol following their pre-season game against the New York Islanders on Friday September 21, 2018..
Watch the video in the player below and be sure to subscribe on YouTube. AHL Report features the Laval Rocket, the Lehigh Valley Phantoms, AHL news and prospect reports for the Montreal Canadiens, and Philadelphia Flyers.